These days, many New Mexico casinos, as well as casinos in other states, are open all night to die hard gamers. 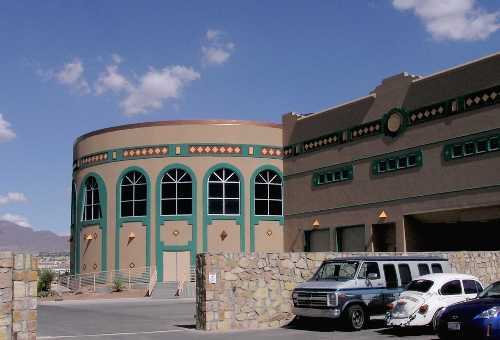 The state of New Mexico has dozens of casinos to choose from. 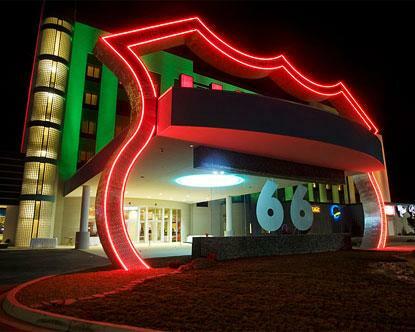 Casinos, card rooms, and bingo parlors in New Mexico are especially popular with residents of west Texas, a state where casino gambling is primarily illegal. All over America, casino gaming remains one of the nation's most popular activities for vacationing travelers. Scroll down to scan a list of some local favorite gambling and gaming establishments throughout the state of New Mexico. They are arranged alphabetically by city, with phone numbers provided. 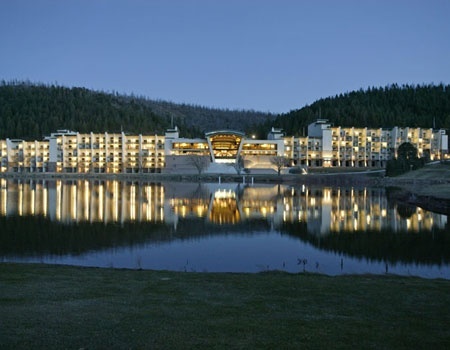 ABOVE: Buffalo Thunder Casino and Resort in Pojoaque Pueblo. When you're not too busy hitting the jackpot at casinos in New Mexico, why not pay a visit to some of New Mexico's other attractions? See New Mexico's Natural Wonders. 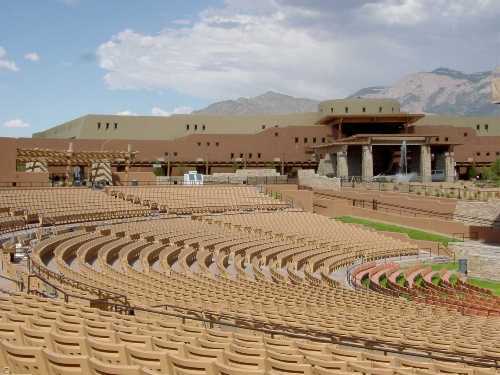 Popular destinations include Taos Pueblo, Taos artist colony, the natural hot springs in the city of Truth or Consequences, an the White Sands of Alamogordo, to name only a few. Contact Us with any questions. 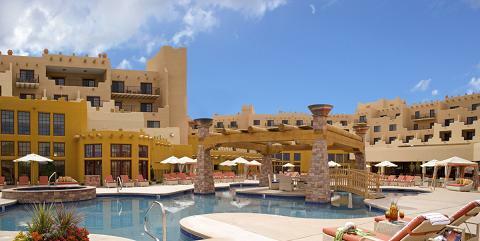 Learn about our exclusive, all-inclusive New Mexico vacation packages. See this page for a fascinating New Mexico Fact and Photo Gallery. Visit this link for Cheap New Mexico Car Insurance. Click here to EXIT Casinos in New Mexico and return to the Main Adventure Menu.